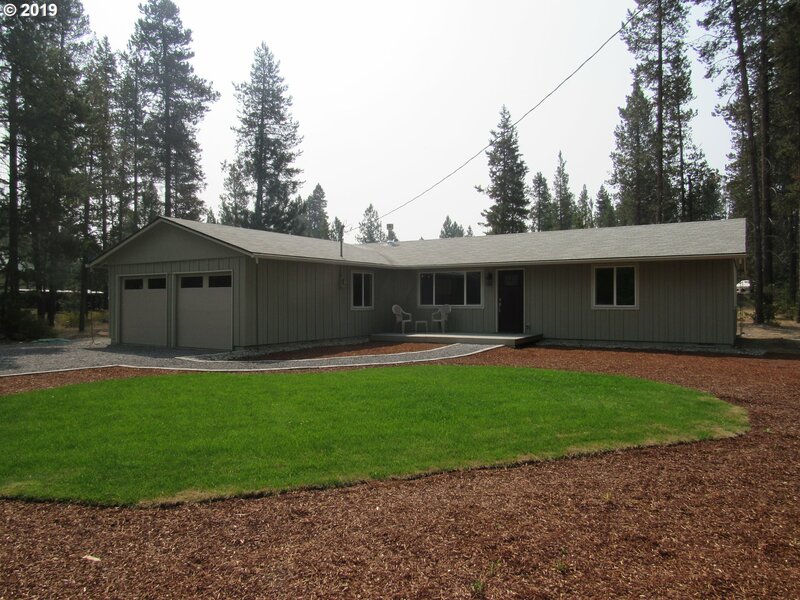 All La Pine homes currently listed for sale in La Pine as of 04/20/2019 are shown below. You can change the search criteria at any time by pressing the 'Change Search' button below. If you have any questions or you would like more information about any La Pine homes for sale or other La Pine real estate, please contact us and one of our knowledgeable La Pine REALTORS® would be pleased to assist you. "Beautiful home w/gated entrance on 25.02 wooded acres & fully fenced. Covered front deck, knotty alder front door w/stained glass side panels. 20' vaulted & beamed knotty cedar ceilings, wood laminate floors. Living room w/floor to ceiling shale rock fireplace w/log mantle. Large open kitchen w/farmhouse sink, granite counters & plenty of storage. Attached dbl car garage, detached 54x60 insulated, sheetrocked, heated shop wired for 220." "Home on 2.7 Acres + Spectacular River & Cascade Views! 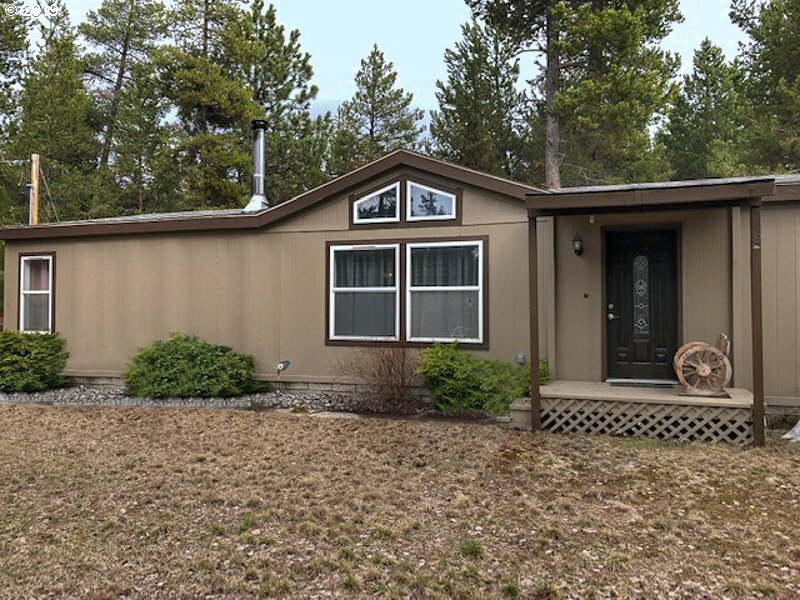 Fully fenced down to the river w/security gate, NW Ranch Style 2139sf - 3Bd/3Ba, vaulted Great Room w/wood-lam, cert wd-stv, open dining/kitchen w/tile floor, slab quartz, cherry cabs, Master w/big mtn & river views, walk-in closet, bath w/lrg tiled shower, 2nd Jr. Suite w/pvt bath, high-eff heat pump w/AC, att garage + det 30x48 SHOP w/10ft and 14ft RV doors, slab, 220v, w/office!" 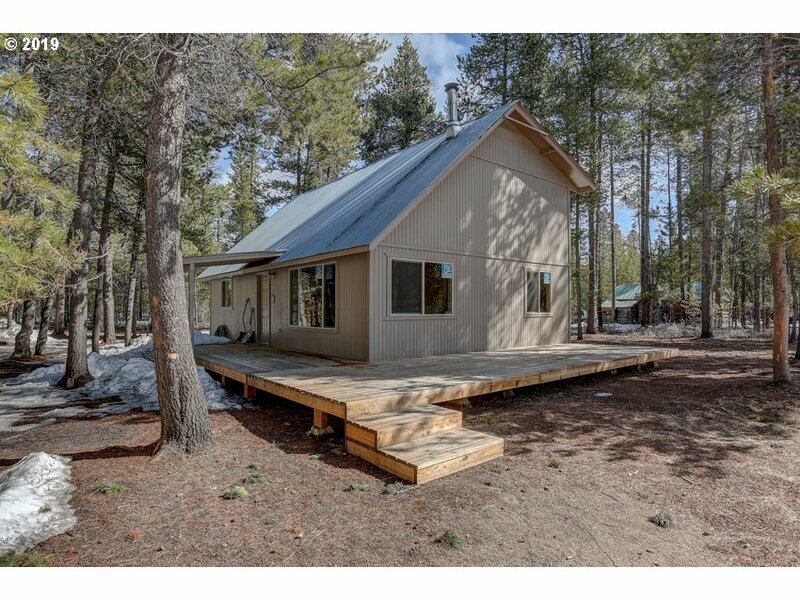 "One of a kind Log Sided Home on a fully irrigated landscaped and fenced acre. On paved road close to town. Great RV Barn with apartment. 3 RV hookups and close to all the recreation that makes Central Oregon so sot after. Don't miss out on this outstanding home." "Great location minutes to Mt. Bachelor and Cascades Lakes. Open living area w/river rock fireplace, vaulted ceilings, wood blinds, stainless appliances, kitchen island & hickory cabinets thruout. Attached insulated oversized double car garage, RV parking + add'l parking. Professional greenhouse and detached shop. Large rear concrete patio, gravel walkways thruout the property & brick fire pit. .45 acre lot next door is also for sale." 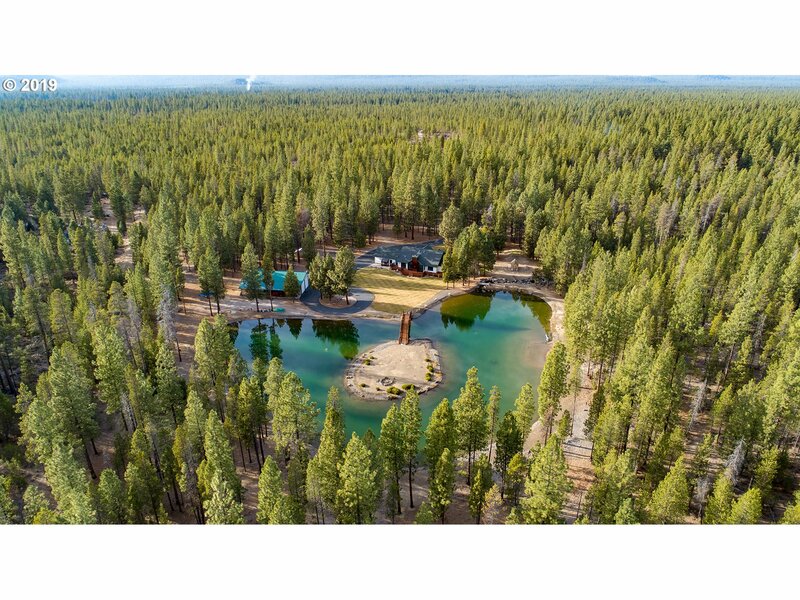 "Rare and Legal Dock and Boathouse on the Deschutes River above Pringle Falls! Rustic Cottage in Soaring Ponderosa Pines Enjoys Views of the Wild and Scenic River. Enjoy 110 feet of Tranquil River Frontage. Extensive Storage. Almost an Acre of Privacy. Minutes from Wickiup Dam, Pringle Falls. Backyard Kayaking, Floating and Boating. Area Hiking and Biking. And the Fishing? Record Browns are Just Waiting for You! Land is Owned Not leased." "Attractive, contemporary ranch home. Move in ready remodeled home w/attached 2 car garage. Partially fenced yard with new landscaping an trex decks, both front & back. Kitchen has LG Stainless Steel appliances, granite counters, Custom Diamond Cabinets w/soft closed doors & drawers. Tiled bathroom floors, laminate flooring. LED lighting with new fixtures, new water heater and heat pump." "Vacation rental. Please contact LA to show. Co-listed with Corrina Thompson, Marci Ward at Alpine Real Estate. 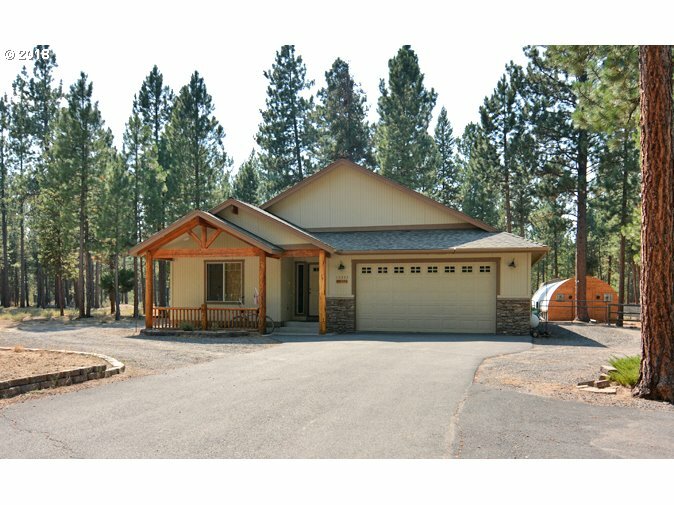 541-706-1845"
"Updated turnkey home in the heart of Central Oregon. Home sits on double lot & with multiple outbuilding/hunters cabins for abundant storage or hobby space. Great location just off Burgess Rd & less than 1.5 miles to the Corner Store. 2-Bed, 2 Bath with loft space & wrap around front / side deck. New Kitchen complete w full appliance package + Washer/Dryer. See Feature Sheet for all improvements." 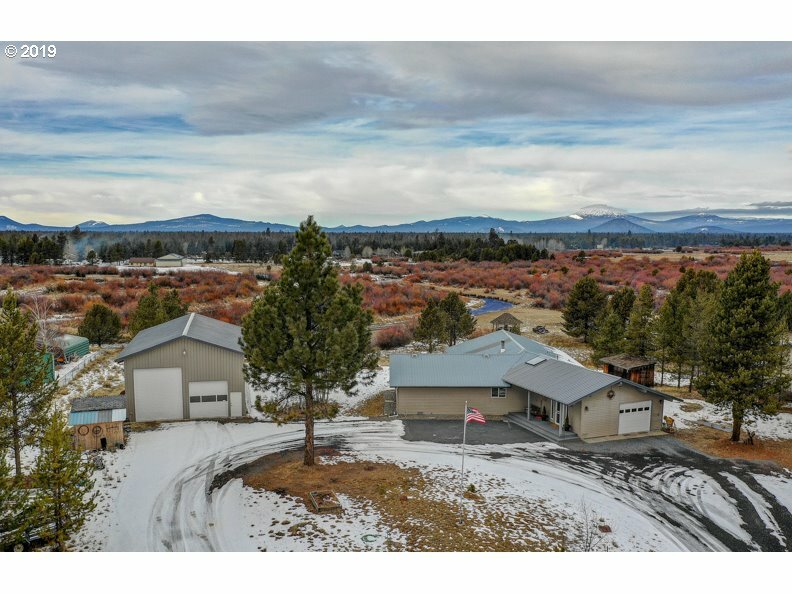 "Don't miss this opportunity to own a home sitting on almost an acre in Central Oregon for under 200k! Well maintained home with 3 bed 2 bath and open concept living. Upgraded kitchen that connects to the dining area and overlooks the over sized living room. Large master bedroom with a walk closet and nice separation from the other bedrooms. Front and backyard with a covered deck perfect for entertaining!"